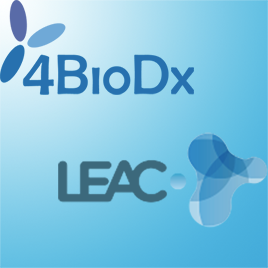 LEAC is now the official distributor of innovative 4BioDx products in Brazil. Located in Sao Paulo, LEAC is specialized in the sector of analytical laboratories (human and veterinary) as well as in in vitro diagnostic devices. The company markets technical tests, ELISA tests and veterinary tests and provides higth value-added services throughout Brazil. LEAC is now marketing all our products for research on human and animal fertility, but also for neurodegenerative diseases. More information on how to order innovative SPQI-4BioDx products by clicking here.